We are excited to announce Olivia DaSilva has been chosen as Aveda Institute South Florida’s May Student of the Month! Olivia’s inspiration to attend the Aveda Institute was from Tori Spelling, a former star from the hit American drama series 90210. Tori was an advocate for Aveda and loved the products. 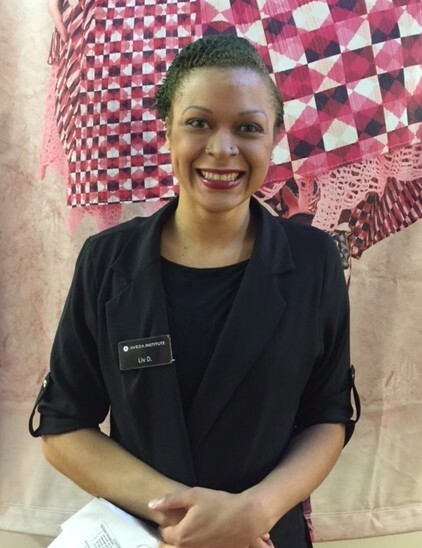 Olivia is from South Carolina and decided to relocate to Florida to attend Aveda Institute South Florida. She attended high school in North Myrtle Beach High in South Carolina. Olivia is a creative individual and in her spare time she really enjoys cooking and crocheting. She was in the national Honor society and also a former girl scout. Congratulations Olivia! We are excited to be part of your journey in they beauty industry.